Do you want to stay fit and healthy? I don’t promise that you will be able to achieve that with just one fruit but pineapple will be one of the fruits that will help you do just that. We all chase dreams of donning a slim figure without having to compromise on health. Who doesn’t? But what’s the real deal with pineapples and weight loss? Well, in more than one way it is better to eat a couple of pineapple slices than indulge in some sugary, flour coated delicacy. After all, one of the biggest advantages you will gain is that this fruit has very less calories and low energy density. What more, it is rich in Vitamin C so all these give the necessary attributes of weight loss food. Read further on how to include pineapple into your eating lifestyle and benefits you shall reap from it. This delicious and sweet fruit will not only satiate your sweet tooth but will enrich your body with Vitamin C. This vitamin, as you know it, will provide all the resistance your body needs to fight against cold, flu etc. On the other hand, it is also abundant in antioxidants. If you are in dire need to munch on some snack then wait no more. 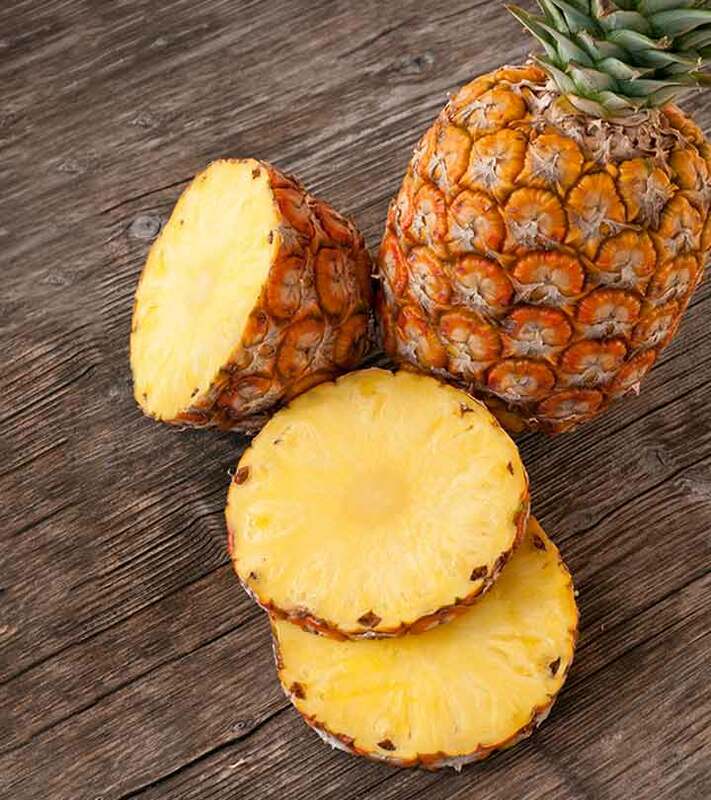 Cut a pineapple because it is sure to fill your stomach as it is rich in fibres. This will keep your stomach busy for a while. Nutritionists suggest that it’s best not to take pineapple with other foods. This is because pineapple is rich in an enzyme called bromelain. This enzyme not only helps improve your body’s digestive process but will provide it with anti-inflammatory benefits. You better consume pineapple without other foods to get the best of anti-inflammatory properties from bromelain. Pineapple is also the storehouse of various minerals including manganese, thiamine and copper. These minerals help fight against free radicals as they are packed with antioxidants. Manganese is also a bone strengthening mineral. Another attribute of this fruit that contributes to weight loss is the very high water content. High water content foods have the ability to make you feel full for a while and are also essential for your body’s weight loss. 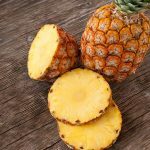 Another reason why pineapples help shed a couple of pounds is the fact that it is a ticket to one of the golden rules in weight loss goals, and that is curbing appetite. One of the most gut-wrenching aspects of buying a pineapple is that once you slice it open, you find that there is hardly anything left in it to eat. But nevertheless, they do have their benefits. To gain them you must first learn to choose a sweet, ripe pineapple. And please don’t let your eyes mislead you. Colour of a pineapple has nothing to do with its rawness. Pineapples come in all sorts of shapes and colour, no matter whether it’s raw or ripe. Allow your nose to do all the talking. It emanates out a really strong aroma from its base. Also, choose a pineapple that weighs really heavy. This way you will know that there is a lot of pulp once the husk is cut open. Also, don’t let this fruit ripe once you take it home, it will only end up rotting. Hope this article was instigating enough for you to pay a visit to a fruit stall and get started right away with a pineapple! Yes, Pineapple benefits weight loss.